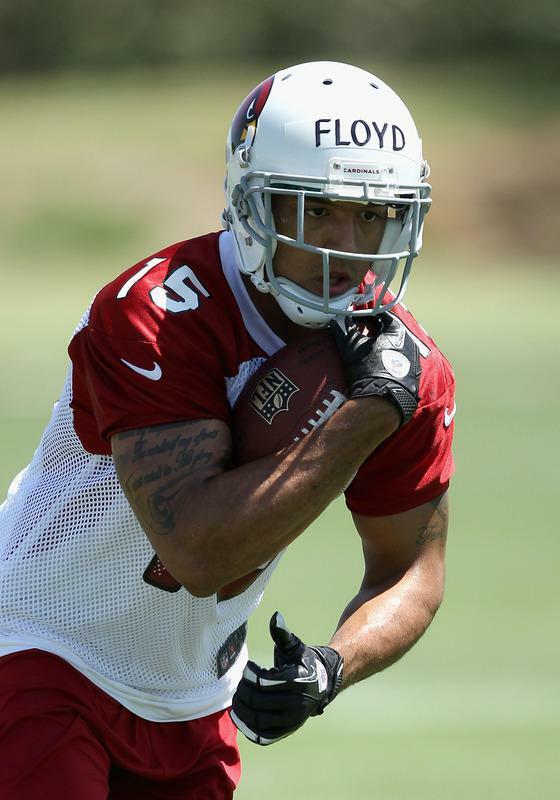 Advanced Fantasy Baseball: Football: Michael Floyd 2013 Sleeper? I do not have much to add this morning but I thought I would share a cool article I read about wide receiver Michael Floyd this morning. He's been working closely with Larry Fitzgerald and could be developing into a nice mid-to-late round sleeper. His best game of the season came in the finale, an eight-catch, 166-yard performance in San Francisco that flashed his strengths. It underscored another belief of Floyd around the Cardinals, that he may be the type of receiver that gets better the more he is fed the ball. The progress he has made has been significant and noticeable. He seems light years beyond a year ago, when Fitzgerald playfully – although pointedly – jabbed him through Twitter when Floyd didn’t attend one of Fitzgerald’s Minnesota workouts even though Floyd was 10 minutes away.